VR MED is the first medical device in the world to employ VR technology for a wide range of uses. It has similar success not only in ophthalmology, but also neurology and rehabilitation. All you need for the transformation is to put in the required software and configure the system.This equipment covers a large part of the clinic’s needs with VR technology.Today, the VR headset is capable of replacing 40% of all instrument functionality ophthalmology room, having a cost of 6 times less than the cost equipment "Golden Standard". Development of new directions of diagnostics and treatment of patients is conducted.The technology is patented. VRMD tokens will become an internal currency of the platform, allowing users to get software to extend the functionality of the gadget and support new developments on the platform. The VR MED headset provides vision field analysis to allow physicians to diagnosis early-stage glaucoma. Preliminary testing of the headset, completed at the FH Aachen University of Applied Sciences, has confirmed the uniqueness and innovation of this product. Now the equipment is undergoing testing at the Institute of Eye Diseases at the Russian Academy of Sciences. The VR MED headset is mobile. To use it, the clinician needs only the headset itself, and the notebook that it will be plugged into. Its weight (0.4 kg, about one pound) and compact dimensions add to its ease of transport. It can be used in mobile medical units, small stationary clinics and with telemedicine set-ups. VR MED is integrated into a headset with ergonomic design, which, in contrast with its competitors, provides a higher degree of accuracy in rapid-speed eye-tracking. This gives the headset versatility for use in various medical settings. VR Med is an exciting concept. The KYC has been been completed. Given the applications of VR technology, this platform has the potential to transform the medical landscape. Furthermore, this technology aims to reduce the number of tools required for medical use and cut down costs significantly. I strongly believe that given the right marketing, this project will help achieve advances in medical science. 25% bonus for early investors. 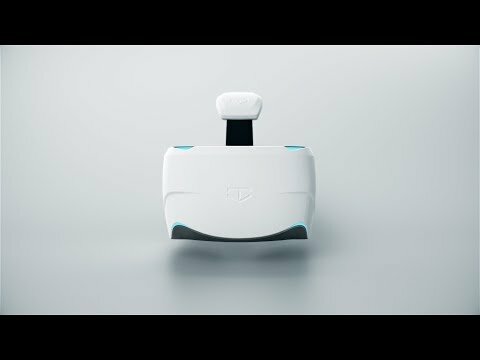 Start of the development of the VR headset and programming suitable for medical use. Start of process to receive international patents. Creation of pilot model of equipment and software for screening for early detection of glaucoma and other conditions with peripheral vision defects. Successful experimental outcomes in the Institute of Eye Diseases at the Russia Academy of Sciences. Participation at international presentations in Lisbon and Bahrain. Introduction of the device. Successful approval process for the device and software at the FH Aachen University of Applied Sciences. Development of the Alpha version of the device, with the capability of providing solutions in ophthalmology (measurement of peripheral vision, diagnosis of glaucoma markers). Development of the device final version (technical and usage fine-tuning), construct improvements. Standard ISO 12866-2011. Industrial design development. Certification of software “Perimeter”: Creation of a universal design for diagnosis of a range of visual functions (through early diagnosis of glaucoma and other peripheral vision field defects). Entrance to the world market: Undergo approval process in India and China clinics; obtain international ISO certification. The 100% functional Perimeter becomes the “gold standard” in ophthalmic diagnosis. Widening of device functionality to include usage in neurology and rehabilitation.